Not everyone can stomach a scary movie because it can be quiet the heart-wrenching ride, and let’s not even begin with the nightmares that come later. But for those who love watching them, it’s exhilarating like an unexpected punch because this genre has a lot to offer if you love being spooked! 2017 saw its fair share of horror movies from IT, Mother, Annabelle Creation and Get Out etc, but 2018 is going to keep you on the edge of your seat and here’s why! Imagine your parents start physically attacking you, well more like attempting to kill you because they’ve been possessed with a mass hysteria of something unknown. This is exactly what Mom and Dad is about. Starring Nicholas Cage and Selma Blair, Mom and Dad is nutty and zany and will make you wonder if a teenage girl and her little brother can survive the wild goose chase and parental violence which is almost comical. January 19, 2018 is the release date. 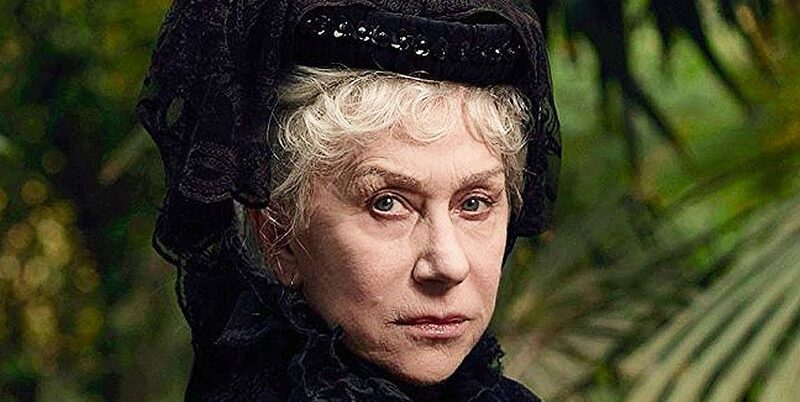 Starring the multi-talented Helen Mirren in the lead role as Sarah Winchester, the film is freely based on real life events – the suspected haunting at the Winchester house after Sarah Winchester looses both her husband and son to their untimely demise and goes eccentric (perhaps because of the others who also have been killed while building the Winchester house). With an added element of fictional haunting, you will be freaked out when Winchester releases on February 2, 2018 because its HELEN MIRREN. The movie will follow the original script, where a family is terrorized by three strangers all wearing masks. However in this movie, the family is living in a secluded trailer park during a cross-country trip. Christina Hendricks will emulate misery and misfortune on March 9, 2018 in this thriller. The real and reel life couple Emily Blunt and John Karasinksi in A Quiet Place live in a very remote house, away from an unknown evil that lurks out in the world. What’s interesting is that the evil can locate you by hearing you. So, what happens when someone creates a disturbance? Who loses the fight for survival? Find that out on April 6, 2018. Our favourites Tyler Posey from Teen Wolf and Lucy Hale from Pretty Little Liars come together in this thrilling and harmless game of Truth and Dare. What do they end up with? A vicious punishment from someone or something for those who refuse to the dare or tell a lie! The film releases on April 13, 2018. An urban legend that preys on little children and makes them insane is what Slender Man is. Its grisly, scary and makes you think on such folklore and their existence. The film releases on May 18, 2018. After the Conjuring franchise, it’s time for The Nun to play its cinematic ploy, and after all it’s Valak, right? The Nun we will be seeing old Romania with a young nun, a priest and a novitiate as they to resolve the mysterious death of another young nun in the convent. Are the elements are great enough for a scare? A convent, dead nun, a priest and Romania certainly give us the creeps. The Nun releases on July 13, 2018. 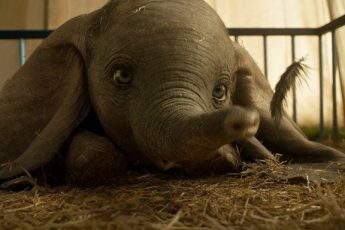 MOVIE REVIEW: SHOULD YOU WATCH DISNEY'S REMAKE OF DUMBO?